Tim O'Connor, a character actor best known for playing Mia Farrow's father Elliot Carson on the 1960s ABC primetime soap opera Peyton Place, died April 5 at his home in Nevada City, California, accodring to The Hollywood Reporter. 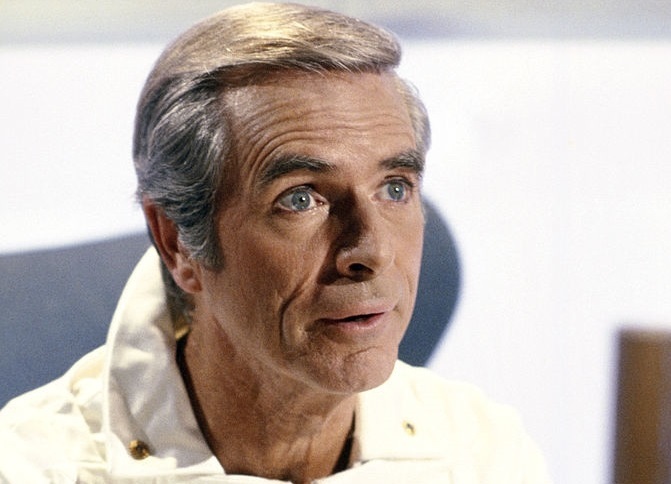 The Chicago native, a beloved television staple, starred as Dr. Elias Huer on the NBC sci-fi series Buck Rogers in the 25th Century. In 1963, he played the captain of a ship determined to rescue earthlings on The Twilight Zone. He also guest-starred as Thomas Crayford during the second and third seasons of Dynasty. O’Connor, who made his Hollywood debut in 1949, appeared in numerous hit TV shows throughout his thriving career, such as Maude, M*A*S*H, Wonder Woman, and Gunsmoke. Fans also recognize the star from the fifth season of Star Trek: The Next Generation as Ambassador Briam. The actor stayed busy in Hollywood until 1997, but never officially retired. Instead, he pursued his passion for entertaining as a stage director for Nevada City's Foothill Theater Company. O'Connor's last appearance on screen was in the 2011 film Dreams Awake where he was reunited with his former Buck Rogers co-star Erin Gray. O'Connor is survived by his wife Sheila MacLurg O’Connor, his son Timothy O’Connor and three stepsons. Check out a scene below from O'Connor's Peyton Place run.